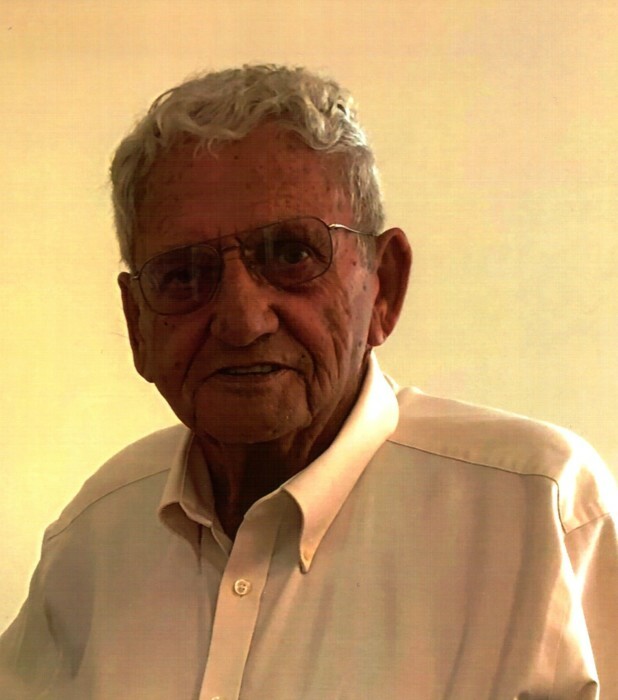 Mr. Leroy “Poppy” McWilliams age 80 of Barbourville, Kentucky departed this life on Tuesday, August 14, 2018 in the Barbourville ARH. He was the widow of Wilma Marie (Jackson) McWilliams and the son of Victor Rufus McWilliams and Gladys (Marion) McWilliams born to them on July 4, 1938 in Knox Co. He was a member of the Sinking Valley Baptist Church. He had served in the Army National Guard and had been a heavy equipment operator. Most of his life he was a carpenter and had built several churches. He loved to fish and spend time with his great grandchildren. He is preceded in death by his wife of over sixty years, Wilma McWilliams and his parents, along with one son, Dennis Leroy McWilliams and two daughters, Jennifer Ethel McWilliams and Tammy Lee McWilliams, one grandchild, two great grandchildren, two brothers and one sister. Left behind to mourn his passing, his two daughters, Debbie Johnson and husband Ray of Bailey Switch and Cindy Stamper and husband Ryan of Crane’s Nest, eight grandchildren and ten great grandchildren, one brother and four sisters. He also leaves behind a host of many other relatives and friends to mourn his passing. Funeral services for Mr. Leroy “Poppy” McWilliams will be held at the Sinking Valley Baptist Church on Friday, August 17, 2018 at 2:00 p.m. with Rev. Johnny Fisher and Bro. Paul Middleton officiating. Pallbearers will be grandsons. Honorary pallbearers will be, Dr. Stargel, Dr. West and the Barbourville ARH staff, his special neighbors at Yellow Rock Apartments and a special friend Harold Patterson. He will be laid to rest in the McWilliams Cemetery at Long Branch. Cobb-Hampton Funeral Home will be in charge of all arrangements. Friends will be received at the Cobb-Hampton Funeral Home on Thursday evening from 6:00 until 9:00 p.m. and at Sinking Valley Baptist Church on Friday from 12:00 noon until the funeral hour at 2:00 p.m.
To the family of Mr. McWilliams, the staff of the Cobb-Hampton Funeral Home would like to offer you our heartfelt sympathy during your time of bereavement.